Are pointing out instructions always explicity identified before or after they are given? I've been in two separate situations in the past week where two separate teachers told me what the nature of mind was. One was a formal teaching in a room full of students, another was in an informal conversation. Would I know if I had received pointing out instructions? Is this even worth trying to figure out? I have a related, probably really dumb, question. So, I'm doing my ngondro, and I believe after that I may receive trekchod instruction. How does pointing out instructions fit into my developmental plan? I asked my mentor about pointing out instructions and got a vague response about perhaps if I have good karma I'll get it. I was online for a webcast transmission so I guess it can be a total independent experience? 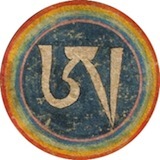 In the Dzogchen context there is oral,symbolic and and direct introduction. Well if the teacher pointed out the nature of mind that is good. It sounds like a Dzogchen pointing out. If you had ChNNs transmission, he is not a teacher that emphasizes ngondro as far as mandala offering etc. goes, I would ask your mentor how to approach it, if I were in your shoes. I did and I shall. You can talk about the nature of mind, on an intellectual level, but if it is pointed-out you need to recognise it. That means having the experience, so yes you would know. Yes, some Lamas do like that, first ngondro then pointing-out. But there is no rule actually. You need a good connection with the lama and that is certainly a "good karma". Some do it openly every retreat (ChNNR), some will do it whenever they feel there is a auspicious occasion. Some will only do it in private. It’s possible to have a teacher say the words and you not get it. It’s also possible for the teacher to do the pointing out without saying “I’m now going to...”, and though as Magnus says you may have experience, if you’d never heard of pointing out you might not know what it was. In any case it’s a bit besides the point, and you probably shouldn’t spend any time thinking about it, since whatever does or doesn’t happen, you should ask your teacher how/what to practice afterwards, and just go from there. ChNN explicitly tells students the scope of what they can practice after direct introduction. Other teachers do not give you that degree of latitude. But any teacher will respond clearly and specifically to “what should I practice now”. I agree, it might not be announced in any way. Also, having the direct introduction will not really effect what practice you do, just how you do it. Also many people need to receive the pointing-out not one but many times before they get it. And even if they don't get it they might get it later by doing practice. You might not have absolute confidence in the experience and be free of doubts however, hence the other Dzogchen 'preliminaries'. And even if they don't get it they might get it later by doing practice. If your question is whether you would know if you received the actual pointing , no you wouldn't necessarily. New disciples that are very new to the teaching dont always know how the pointing out sounds and what to look for. You would definitely know if you were told beforehand that that is what you will be receiving. Some teachers quite often give instructions that sound like a general teaching but they go to the essence and those people who are familiar with the teaching in general and pointing out instructions in particular they would know that the teacher speaks about the real thing and most essential aspect of the teaching. So in order to know what he essential instructions look like you would have to be a little bit familiar before hand with what the terminology is, the particular symbols used and what is actually introduced. What makes you believe that the karma that lead to you watching the webcast was not partly a consequence of the ngondro you are engaged in? After all: nothing is independent. I second this. Personally i feel that ngondro really help things unfold for me and get conection with wonderfull techears and dharma. Some teachers beside chnn also givepointing out instructions to complement ngondro (or viceversa). I think its really a blessing, personaly i understood ngondro practice a lot mote after reciving it. The last point above is critical. Probably the majority of people don't recognize the nature of mind when the instruction is given. But a lot of things become clearer in retrospect after serious practice. There's a lot that could be said about this topic. But there probably isn't much point in discussing it either. Indeed. And frankly, I did manage to be there for the webcast with some amazingly good timing. Thanks for the reminder about interconnectivity and all that jazz.